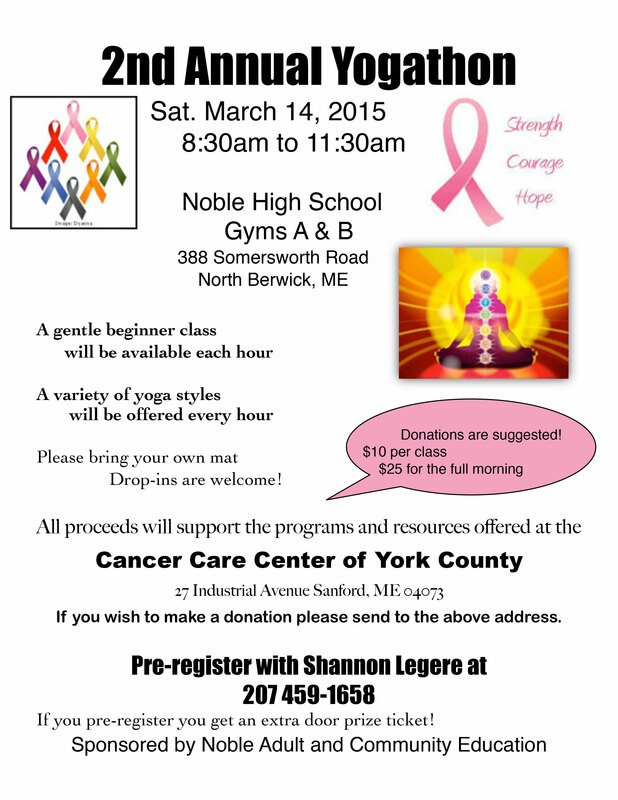 Come support the 2nd Annual Yogathon on March 14th. Holy Yoga will be at the same time just a different location! I’m exciting to be supporting the 2nd Annual Yogathon being put on over at Noble High School. I’ll be teaching our usual Holy Yoga class at the normal time of 9AM. I hope you can come out and join me and all donations benefit such a great cause – Cancer Care Center of York County. JUST AN FYI – it’s just for that Saturday. All other HoYo classes will be at North Parish!